Who doesn't want a face lift without the massive price tag and without going under the knife?! I knew wanted to give the Chin Up Non Surgical Face Lift a try! I have always been very self conscious of my chin and it doesn't matter what I do I have never been able to improve it - until I tried Chin Up! I had been seeing and reading so many positive things and the result photos has been really speaking for themselves. The Chin Up Mask is a 30 minute face lift and after those 30 minutes you can lose a minimum of 2cm. It slims the chin by accelerating the metabolism and boosts the lymphatic system to help reduce chin fat and it contours by tighting the skin and restores loose and sagging skin. As well as lifting the chin to reshape the facial contours and deliver long term firming results and moisturises dry and dehydrated skin for immediate relief while defending againsts visible signs of aging e.g. fine lines and wrinkles. This mask has tonnes of real fruit extracts and made with skintronics technology. 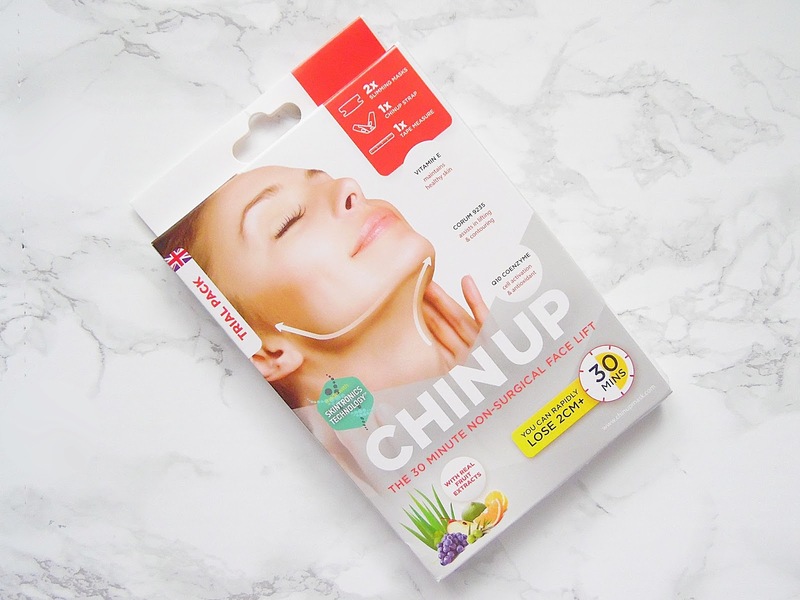 I have been trying out the Chin Up trial pack which has two slimming masks, chinup strap and a tape measure. To use this mask all you have to do is apply the sheet to clean and dried skin then take the chinup strap and affix it under the chin with the coloured part on the outside while tightening the band over the top of your head and fasten (with your ears in the holes). After 30-40 minutes remove the strap and peel off the mask from the edges and massage in the excess. I will say that it is a little uncomfortable to use but nothing that has put me off from using it again. After a couple of minutes it starts to warm the skin, again not too uncomfortable, but I didn't realise it had this effect so I got a little freaked out at first but a quick google search comfirmed this was normal! After around 35 minutes I removed the mask and was totally impressed! Before I applied the mask I measured at just over 23cm but once I removed the mask I was just under 21cm so I lost the 2cm that it is advertised that I would! My chin and neck are much firmer and it has given me so much more confidence. The effects are long lasting but its recommended to use often to longer lasting results. I was a little skeptical about this but I was blown away from the results and will definitely consider purchasing it soon. 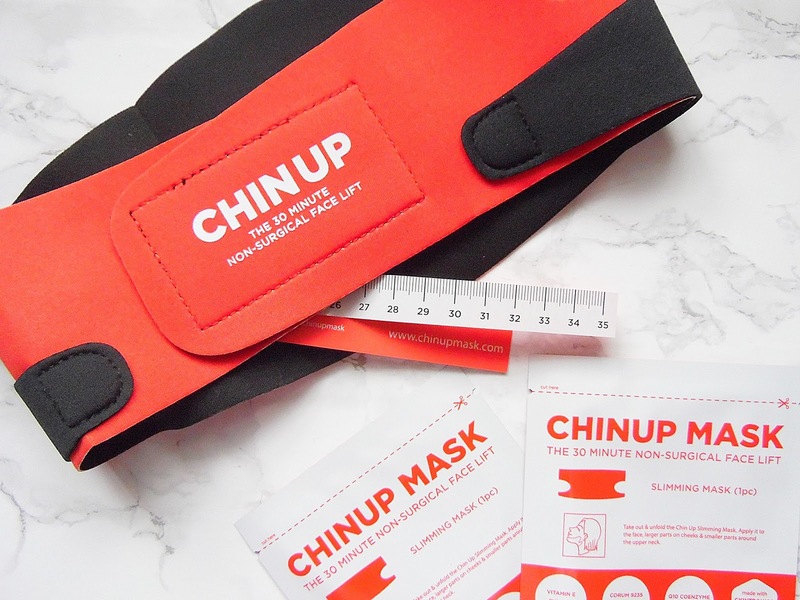 The Chin Up Mask retails from £29.95 - HERE.